Las Vegas Swimming Pool Automation. 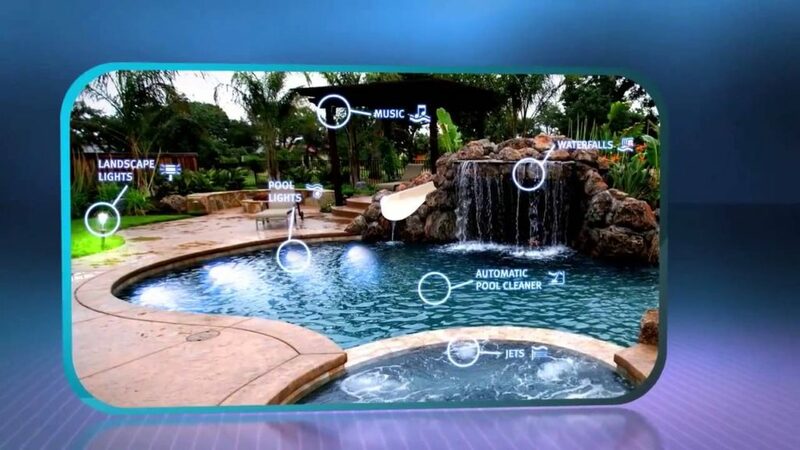 Swimming pool automation has come a long way there is now no need to go outside to the equipment and press buttons, turn levers and valves and try to remember how to position them. Now days, you can operate everything via your internet connected device like a smart phone or tablet. Turn on the spa remotely so it’s ready for when you get home or schedule the lights to come on or maybe turn on the water feature for a party the list goes on. All the major manufactures have developed automation controls that can easily be implemented to existing equipment. Below are some videos on the latest controls and options. If you’re looking to get swimming pool automation installed in the Las Vegas or Henderson area please connect with us we shall be happy to help. This entry was tagged las vegas swimming pool cleaning service. Bookmark the permalink. ← Pets and pools things to consider.